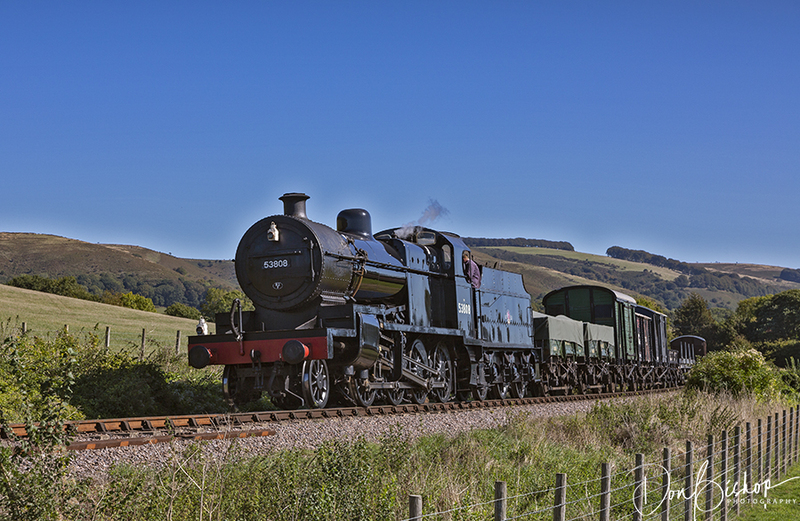 A full days charter on the West Somerset Railway with S&D 7F No. 53808 on a goods train. CANCELLED – due to operational difficulties at WSR. BR Black Somerset & Dorset 7F 2-8-0 No. 53808 with mixed goods train. I have now completed discussions with my colleagues at the West Somerset Railway for a charter this spring. This charter will feature the ever popular home based 7F No. 53808 with the lines mixed heritage goods train. We will use the line between Bishops Lydeard and Williton in order to make enough time to do plenty of photography and less time travelling between locations. I plan to have the loco facing south in the morning and north in the afternoon, if the weather conditions permit enough time to do the required shunting to ensure we only have brake vans at the rear of the train. It is proposed to start from either Bishops Lydeard or Williton (I will advise nearer the day once operational issues are decided upon) at 08.00hrs. There is plenty of parking available at both stations and neither is a particularly long distance away from nearby B&B’s or hotels. 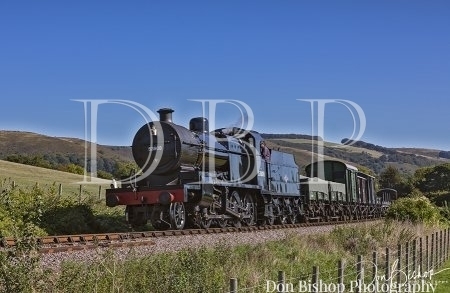 The engine & train will be sent to Norton Fitzwarren at lunchtime to turn etc. We will have exclusive use of the line between BL and Williton throughout the day with the charter finishing around 6.00pm. Cost for the day is £79.00 per head with 35 places being available. This has been a much requested charter since the loco returned to traffic a few years ago in BR livery, so please be quick if you want to join the charter and avoid disappointment.